Every individual has a different way that they give and receive love. 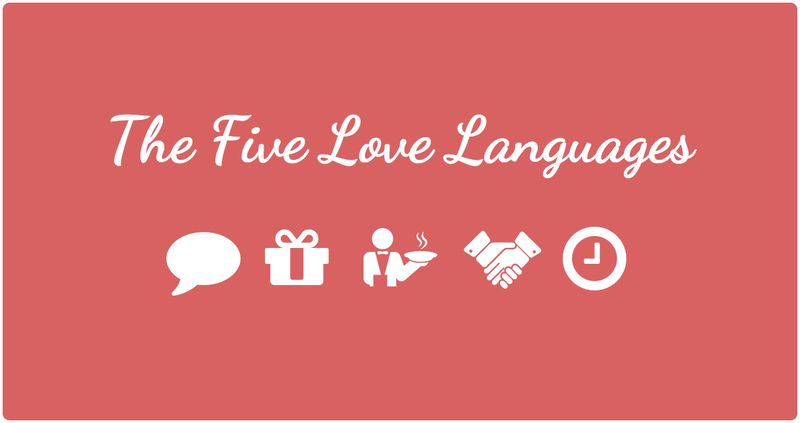 There are 5 ways people express love. Knowing your partner's love language can help you understand each other better. Words of Affirmation: For people with this love language, they need to hear, ‘I love you' on a regular basis as it helps them to believe that they are loved. Include the reasons why you love them; leave them a written note, a voice message to say that you were thinking of them, or better yet, just do it in person! Acts of Service: For some people, actions speak louder than words. People with this love language would show it by volunteering to do a chore, offering up an indulgent massage, or making dinner. Lending a helping hand shows that you really care. Receiving Gifts: Gifts are another way to the heart. It's not necessarily about dropping a lot of cash. It actually has more to do with the thought behind the gift than the gift itself. Ordering a personalized gift or bringing home their favourite drink can speak volume. Quality Time: For people with this love language, getting undivided attention is what matters most to them. Take time every day to do this and switch your phone into airplane mode on date nights. Take walks together and plan a staycation once in awhile. Physical Touch: This isn’t just about intimacy — sometimes nothing says I love you like holding hands, hugging, or pats on the back. A hug can lift your mood or take away your insecurities. Try cuddling while you’re watching TV and always kiss your partner hello and goodbye. Curious to know which love language you and your partner speaks? Take a free quiz here to learn about your love languages.